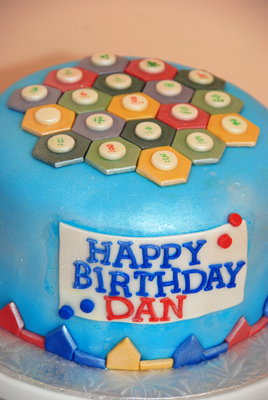 I’m not the only person who loves Settlers of Catan enough to turn a boardgame obsession into party food. 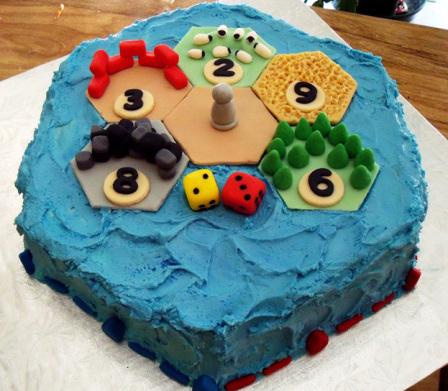 Check out these gorgeous Settlers of Catan cakes. 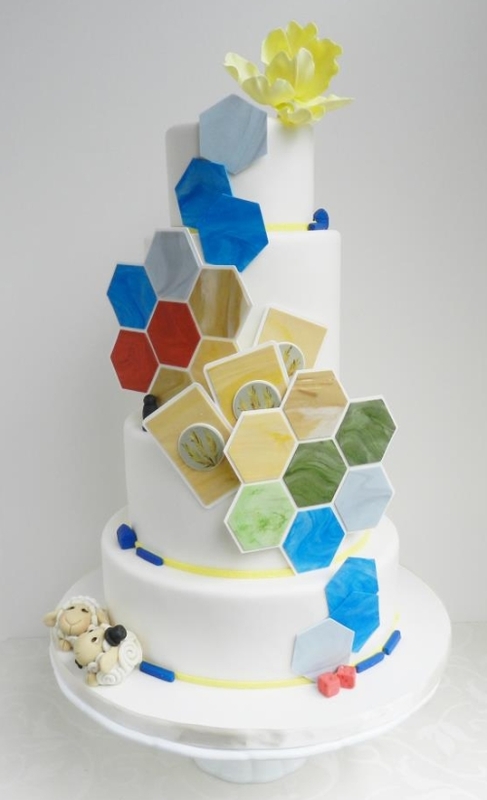 When Geeks Wed featured this amazing Settlers of Catan themed wedding cake. 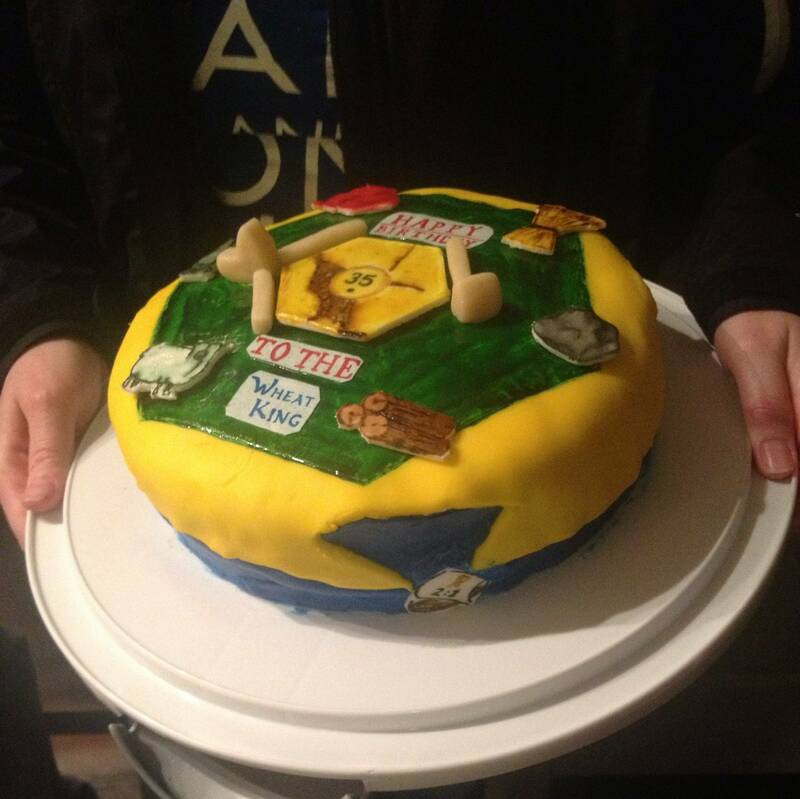 Kalli Cakes added edible dice and cards to their custom Settlers of Catan groom’s cake. 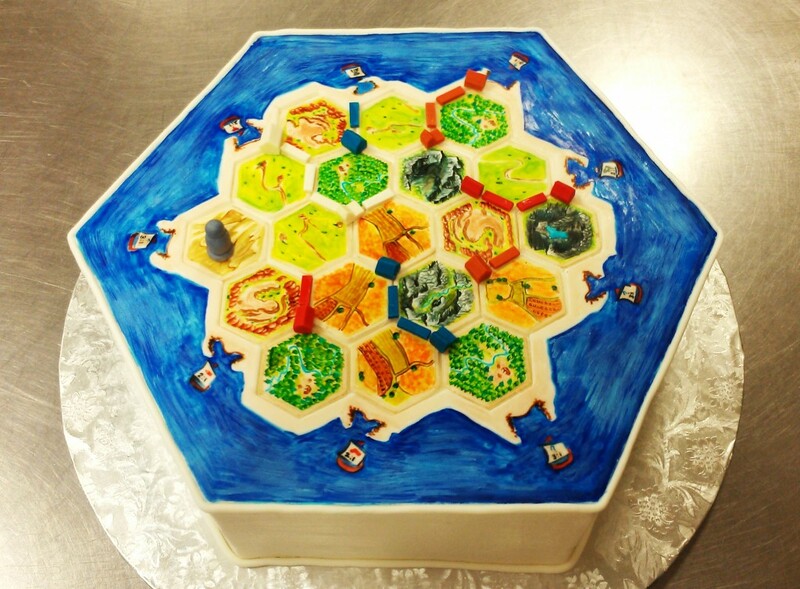 You don’t have to get married to deserve a great Settlers of Catan cake. Dan here got one for his birthday from Sweet Escapes by Jen. 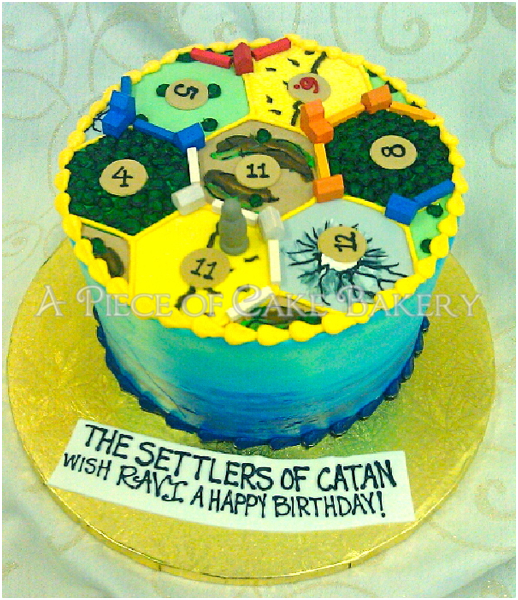 Ravi’s friends surprised him with a Settlers of Catan birthday cake from A Piece of Cake Bakery. 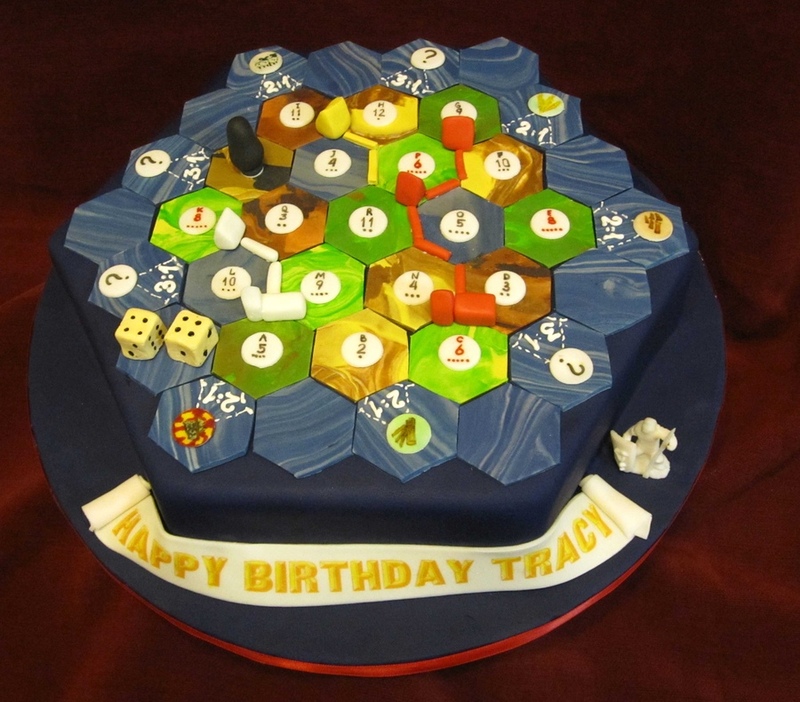 Traci’s friends ordered her an amazingly detailed Settlers of Catan birthday cake. Look at those tiles. The Wheat King’s friends helped him celebrate his birthday with a full hand of resources. 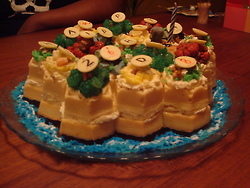 Over at Stuff and Things, she used Williams Sonoma’s Nordic Ware Honeycomb Cake Pan for extra hextastic goodness. 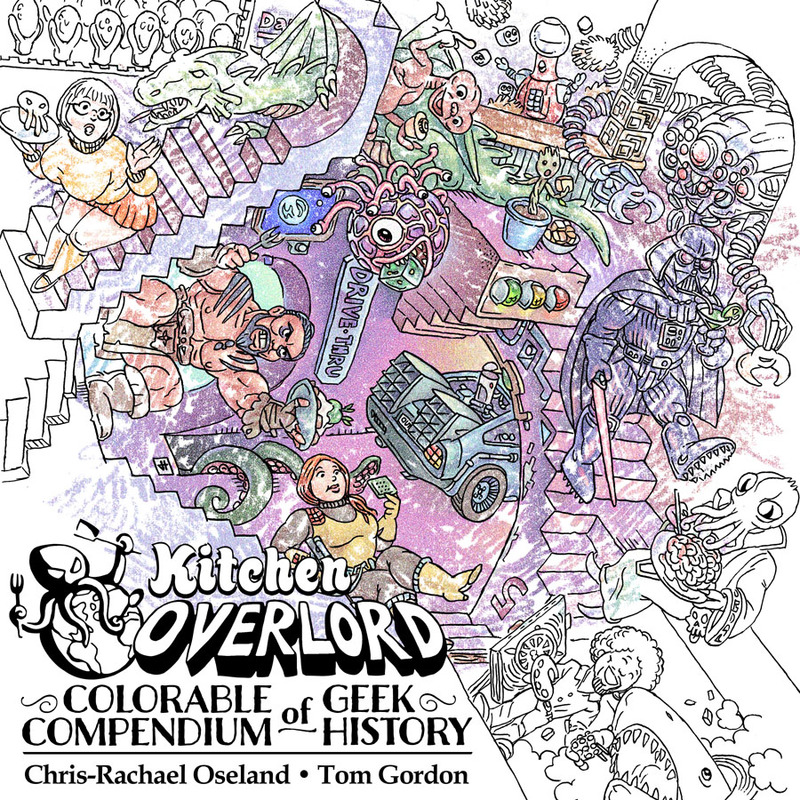 Seriously, this pan looks like it should be for sale on the Mayfair Games website. Go ahead. Pretend it’s for beekeepers. We geeks know the truth. 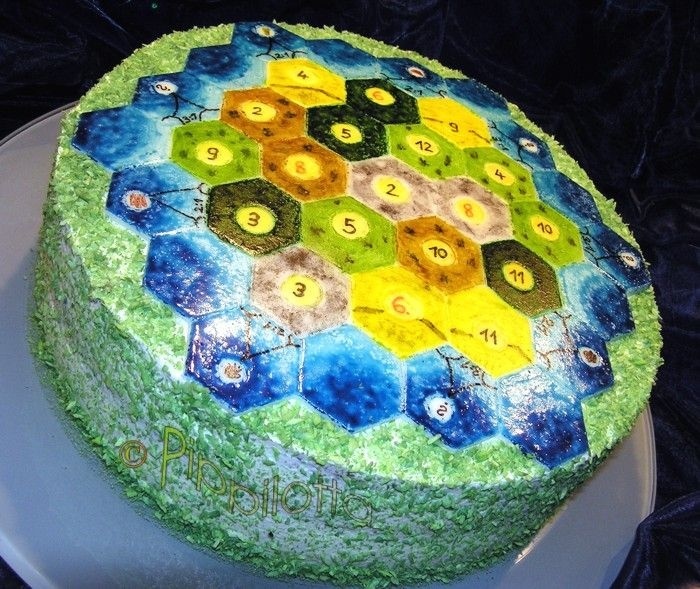 Over at A Blog Called Cake, Rachel decided she didn’t need any pesky personal holiday excuses to get her Catan on. 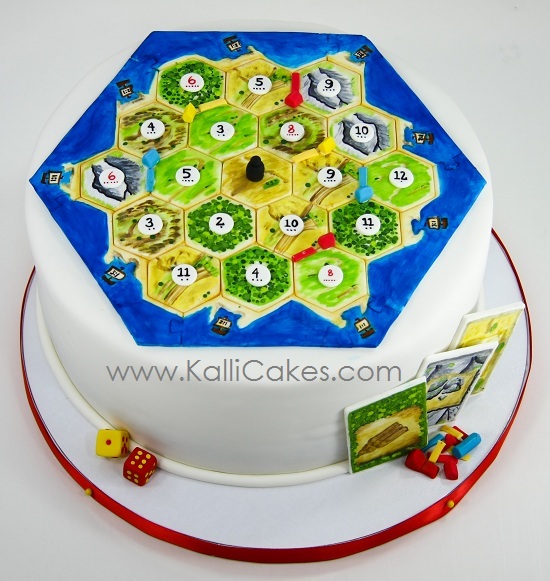 Finally, Cake Central classified this inspired Settlers of Catan cake under “Poker Cakes/Las Vegas/Casino/Gambling.” What are the odds on wood for sheep? 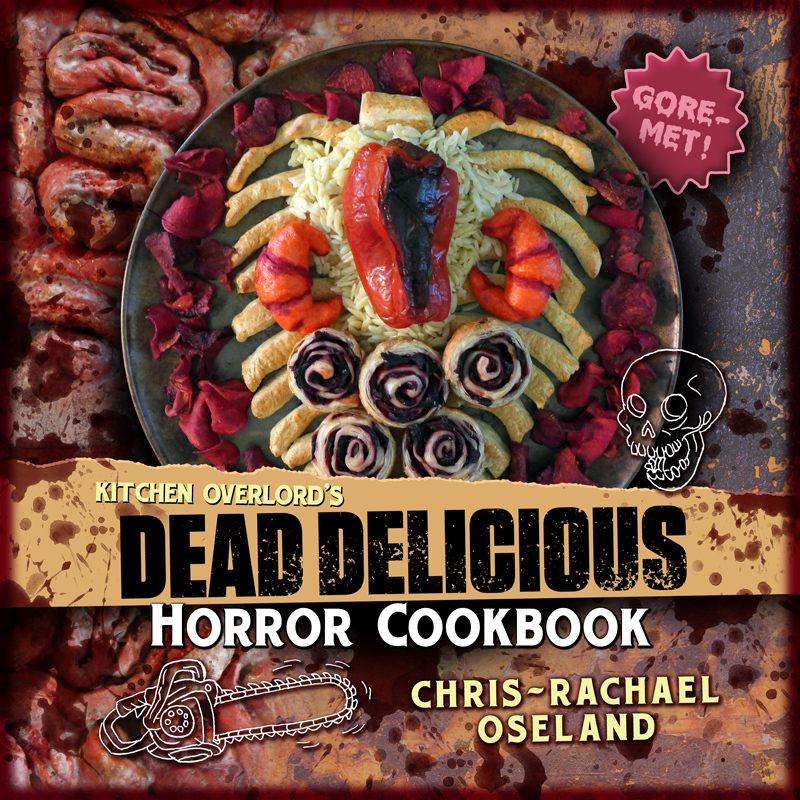 If you need something savory after all that sugar, check out Wood for Sheep: The Unauthorized Settlers Cookbook.